On November 20, UrbanPromise staff and interns volunteered their time in Tom's River, NJ, aiding Samaritan's Purse, an international relief organization, with Hurricane Sandy recovery efforts. 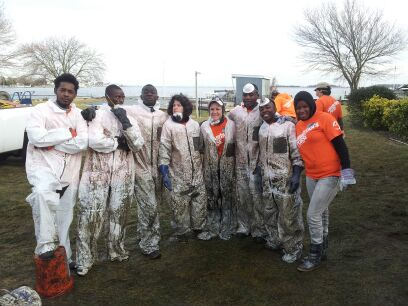 A total of 28 volunteers helped a local homeowner clear insulation from a flooded crawl space. According to staff, he was brought to tears with all of UrbanPromise's help. 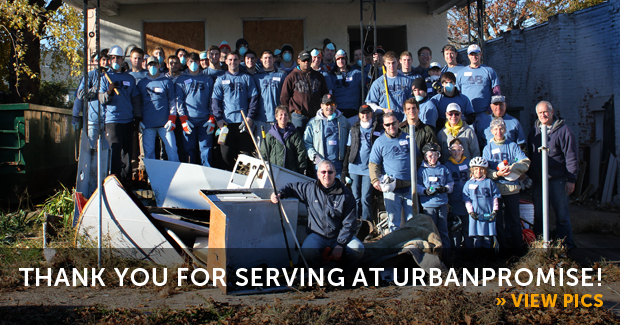 UrbanPromise intends to continue helping with hurricane recovery in the coming months. Just two months ago Diane Sawyer visited UrbanPromise in Camden and spoke at our 25th Anniversary Banquet. It was an inspirational, moving—and fun—night, made all the more special by her warm and welcoming presence. According to Ms. Sawyer’s inner circle, she seldom speaks at these kinds of events. She’s busy and careful about whom she aligns herself with. I was incredibly honored that, in the midst of a very hectic television season, she kept her promise to our community. While eating dinner, she asked each child very direct and personalized questions. I found this remarkable! What books had they read since their last meeting? How were their grades? What did they think about the current political situation? She approached their conversations as if they were part of a high profile interview. But what impacted me most deeply about Diane Sawyer’s visit is that she remembered our young people. It was obvious that this was not just another news story. She cares about the kind of people our children are becoming. And her concern, interest, and commitment continue to influence their lives. Like Diane Sawyer, I hope you will remember the children of UrbanPromise. Since your first gift to our organization, our team has faithfully protected, educated, and loved Camden’s most vulnerable children. We’ve provided creative, structured, and academically enriching programs that keep young people off the dangerous city streets. But it costs money to remember. Fuel is needed to run the vans that transport our youth to and from home, insurance needs to be current, and salaries need to be paid. Remembering can be expensive. 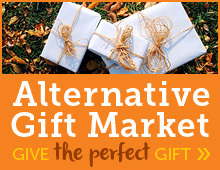 In honor of Ms. Sawyer’s visit to UrbanPromise, I hope you’ll donate a year-end gift to our ministry. Child – Just $30/month ($360/year) provides a Camden child with free after-school and summer camp programming. Teen – A donation of $42/month ($504/year) provides a teen with year-round hands-on job training and academic enrichment. 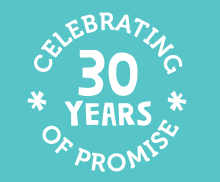 Student – By partnering with a student for $208/month ($2,500/year), you’ll enable UrbanPromise to offer high-quality education in a structured and loving environment. Trekker – A monthly donation of $150, or an annual gift of $1,800, enables UrbanPromise to provide youth with experiential and expeditionary trips at little to no cost to them. Thank you for remembering. Have a blessed holiday season. P.S. Check out the recent cover story about Diane Sawyer and UrbanPromise in SJ Magazine and the video of this year's banquet! The Big Read from UrbanPromise on Vimeo. “Tilt your head. Shoulders back. 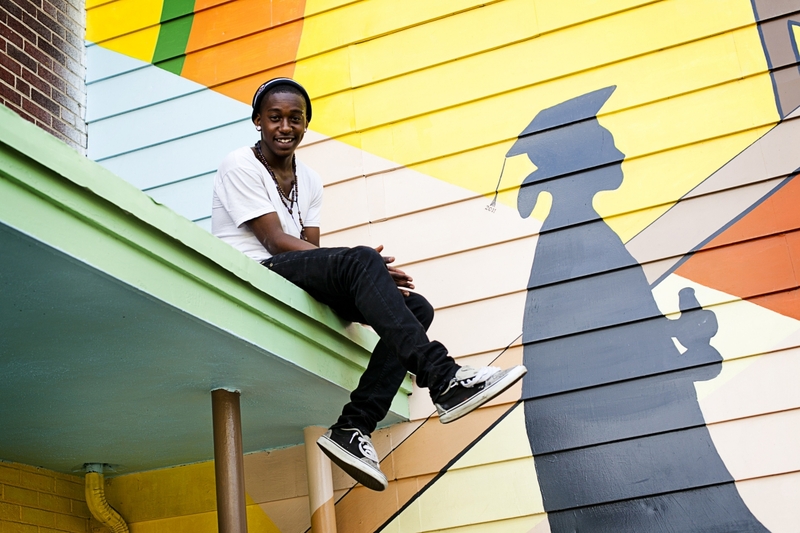 Smile.” Tuesday was Picture Day at UrbanPromise Academy (UPA). Excitedly, the senior class jumped into and out of their caps and gowns, rushing outside into the blustering November wind, and crammed into a bus on their way to their first polling station at Sharp Elementary. On an average Tuesday morning, the seniors could easily have savored the momentary hiatus of classroom work to take pictures, but this particular Tuesday was Election Day. As part of their school's exchange program, Clearview High School visited the city of Camden recently to spend the day with UrbanPromise Academy students. After touring the city, Clearview teens enjoyed a lunch with UPA students, engaged in discussions about shared experiences and challenges, and listened to UPA presentations on the Academy's Students In Action group and UrbanTrekkers. 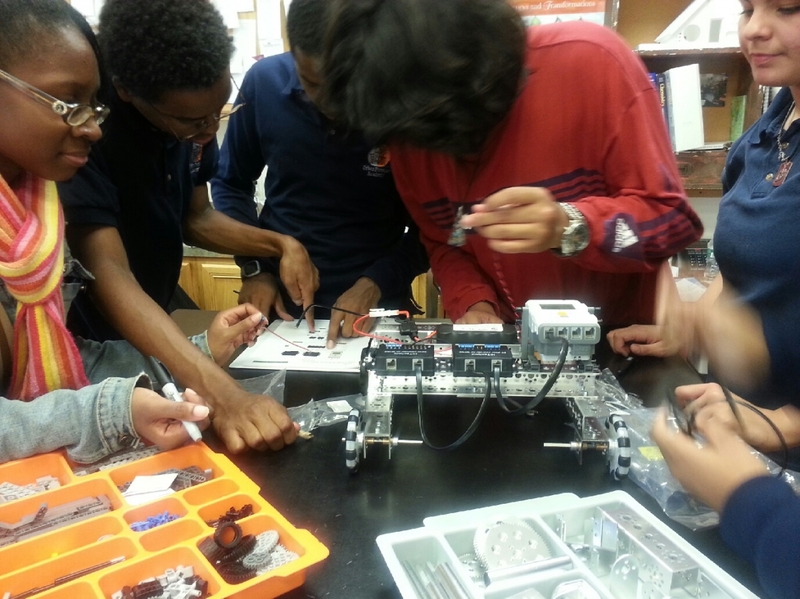 UrbanPromise Academy's newest extracurricular activity is a school-wide robotics club. Using the fundamentals of math, science, and technology, students are building autonomous robots during the club's twice weekly meetings. They'll begin competing with their creations against other area schools in the coming weeks. Pictured are several club members constructing the robot "chassis"--or base--of their first robot, which they've named "Domo-Inferno." UrbanPromise Academy Students Team Up for Good Cause! Each grade at UrbanPromise Academy (UPA) has selected a particular charity or cause to support for the 2012-2013 academic year. 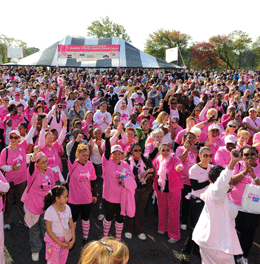 Several students and staff participated in October's Making Strides Against Breast Cancer Walk at Cooper River. In addition to the fight against breast cancer, UPA students have chosen to support Unicef, a Malawian student's education, and the South Jersey Food Bank. Keep up the good work!